Glenveagh National Park is simply heaven on Earth, with 165 square kilometres (62 Sq mi or 40,873 acres) of rugged mountains, lakes, remote bogs and woodlands, where wildlife such as red deer and golden eagles roam free. At the centre of the Park on the edge of Lake Veagh is Glenveagh Castle. This 19th century castellated mansion was built in a remote mountain setting and used as a hunting lodge for many years by its original owner, John Adair. Adair was notoriously cruel, evicting 224 tenants to improve the “aesthetic appeal” of the estate. In 1938 the Castle and estate were purchased by the American socialite and philanthropist Henry Plumer McIlhenny of Philadelphia. In the 1970’s McIlhenny donated the gardens and castle to the Irish nation so that Glenveagh National Park could be created. It continued to be used as the family’s part-time residence until 1982. It is said that a curse was placed on the castle due to the cruel evictions. The curse supposedly forbids any owner of the castle to bear heirs to the family name. The Castle Gardens are regarded as one of Ireland’s outstanding horticultural masterpieces. It is well known for its rich collection of trees and shrubs specializing in southern hemisphere species. 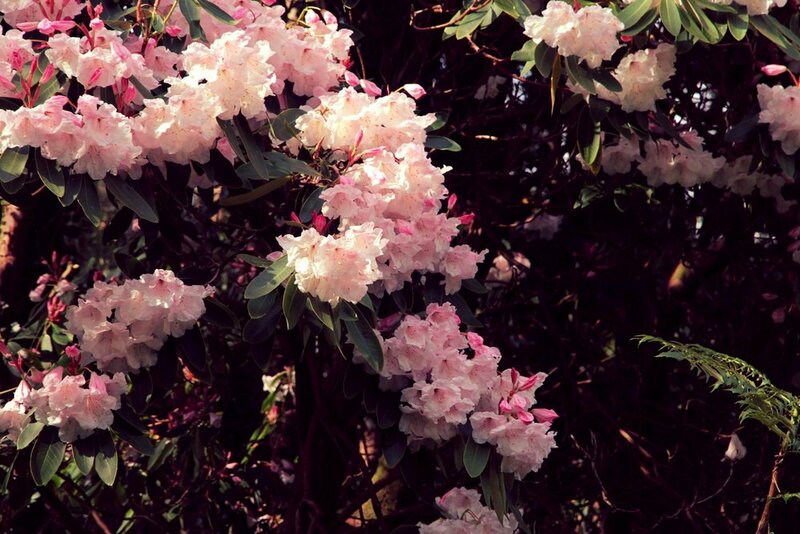 There is a diverse rhododendron collection and a divine Italian rose garden. A tour of the castle is included and lunch in the castle tea rooms is an option, but not included in the price. You can also bring your own picnic lunch and relax along the lake with spectacular views, or near the visitors centre. This tour picks you up in a luxury mini-coach at Ardglass cottages in Portsalon, Co. Donegal Ireland at 8:30am and returns to the cottages at approximately 4:30pm. What is included: Transportation to and from the national park in a luxury mini-coach with a professional driver and guide. All entry fees to the visitor centre with audio visuals and a guided tour of the castle. Walk to and from the castle or take the bus (additional 2-3 euros). What is not included: Lunch in the castle tea rooms is an option but not included in the price. For more information on this National Park click here.